Southwark Cathedral provided the spectacular backdrop for St Augustine’s College of Theology’s Celebration of Awards. Students, staff, friends and relations gathered for this service of Thanksgiving and Recognition. In his sermon, the Very Revd Andrew Nunn, Dean of Southwark Cathedral, contrasted the useless ephemera that often pass for gifts at Christmas (“Bath salts and inexpensive scent / And hideous tie so kindly meant,” John Betjeman) with the enduring gifts through which God makes His way into our lives. Andrew remembered how his own mother inspired and informed his faith journey and he quoted the second letter to Timothy, “I am reminded of your sincere faith, a faith that first lived in your grandmother Lois and your mother Eunice and now, I am sure, lives in you.” We know nothing more about these women, nothing save their names and the part they played in making Christ known, that faithfulness enduring in Timothy, son and grandson, and in those he, in turn, inspired, and so on across two millennia. A humble witness that doesn’t seek acclaim for itself but for the working of God’s love: this was the ministry the Dean prayed our students would emulate. 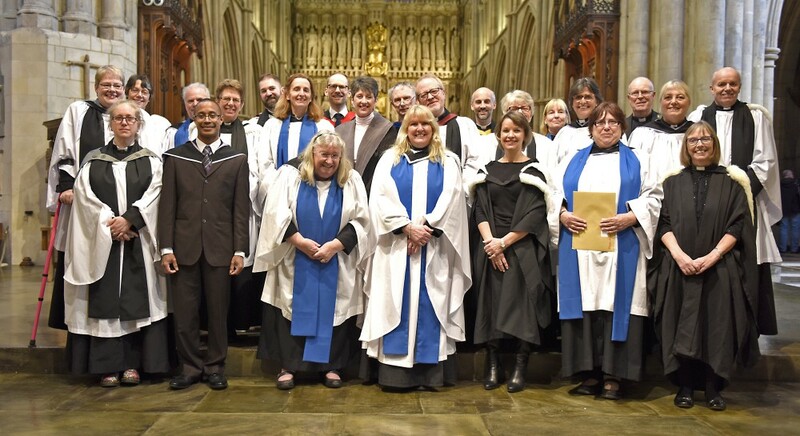 Surrounded by friends, family and Academic Staff, students, lay readers, independent students, ordinands, and curates, were presented by the Revd Dr Simon Stocks and given certificates by the Revd Dr Alan Gregory, Principal of St Augustine’s. “I most enjoyed how different students brought their gifts, combining them powerfully in worship: the thoughtful prayers; uplifting music; purposeful reading; an able choir. It gave a glimpse into the impact of the compelling vision for transformation St Augustine’s has for its students, transforming formation by working with them in partnership. It was a great day for everyone involved. If you are interested in theological study, St Augustine’s offers courses from Certificate level up to Master’s Degree at Southwark and West Malling. Look out, too, for our short courses and workshops, open to everyone. For all enquiries, please get in touch. Further details are available from 01732 252656 www.staugustinescollege.ac.uk.